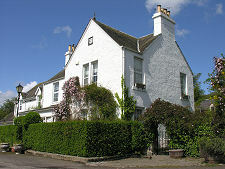 Rait is a small, largely residential village in the Braes of Gowrie, the fringe of villages and glens that runs along the southern edge of the Sidlaw Hills north of the line of the A90 between Perth and Dundee, and overlook the low lying Carse of Gowrie and the River Tay beyond. 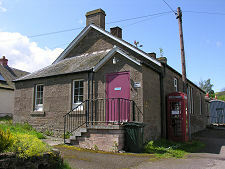 The village stands a little to the north of a minor road crossing the Sidlaw Hills through the Glen of Rait, seven miles north east of Perth, and forms a series of cul de sacs. No one travels through Rait en route to anywhere else, and this perhaps helps account for the survival of a pattern of settlement which is highly unusual and extremely charming. 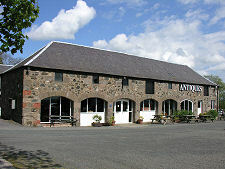 At the east end of Rait is a large farm steading, originally built in 1837. In more recent times this has been converted to become the Rait Antiques Centre, in which eight antiques dealers specialising in different fields have premises. There is also a coffee shop here. 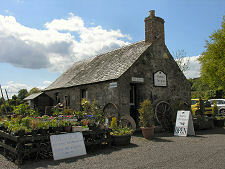 The steading can be thought of as forming the lower end of the village, which climbs gently to the west following the line of the burn running through the glen. 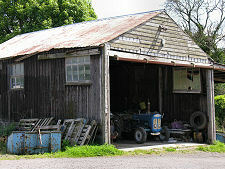 To the north of the antiques centre, remaining elements of a working farm actually form part of the village. 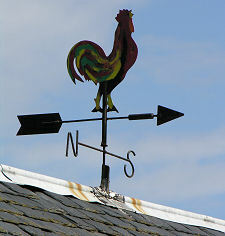 This intermingling of cottages, houses and farm buildings is one of the things that give Rait such a unique atmosphere. 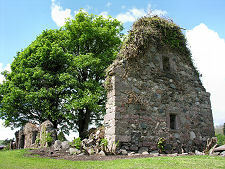 Close by, though it takes a little effort to find, is the ruin of Rait Parish Church. This apparently medieval church, possibly built on the site of an earlier chapel, fell out of use when Rait and Kilspindie parishes were merged some time before 1634. 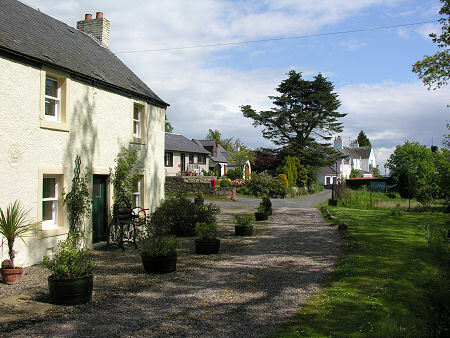 From the farm and old church, the western end of the village is reached by walking up one of two converging roads which follow the burn upstream, one on either bank. On the north side you pass the village post office, housed in a modern bungalow, en route to what is in effect a triangular village green. 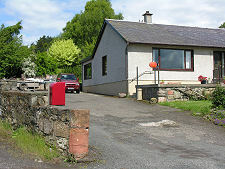 Footbridges give access to the road which continues west along the south side of the burn, passing the Annat Hall before reaching the village's far end. At the top of the road known as West End is an example of a pattern of development that was once very common in Scottish villages, but has very rarely survived. 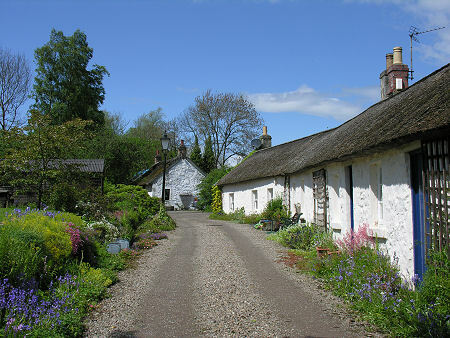 Here you find a series of single storey cottages dating back to the 1700s or early 1800s, forming a "fermtoun", an unplanned development built to house agricultural workers. And what makes the cottages in Rait still more unusual is that they retain their thatched roofs made from reeds grown in the River Tay.